With its temperate climate and calendar jam-packed with exciting events, there really isn't a bad time to visit Portugal. But despite its year-round appeal, July and August firmly remain the most popular months to visit, when the promise of crystal clear sea, soft sand, and endless sunshine draw crowds of tourists to its beaches. The popularity of these months does, however come with a hefty price tag and lots of other tourists to share the sand with, so it's useful to get to know some alternative times to visit that are likely to make your trip a lot more hassle-free and relaxed. As a general rule, the best times to visit Portugal are between March and May and in September and October, when the weather is pleasantly hot and sunny, flights and hotels are usually cheaper, and there are fewer tourists around. That being said, the winter months have their merits too, with beautiful Christmas displays, hearty food, and incredible surfing conditions making this time of year arguably just as attractive as the spring or summer. To help you figure out the best month for your Portugal trip, we've put together a guide on the best time to visit depending on the type of holiday you're after as well as a monthly guide of weather tips and events. Time to plan your perfect Portugal itinerary! If you're in the market for classic beach weather, i.e. clear blue skies, warm seas, and hot sunshine, then visiting between July and September is your best bet, particularly if you're heading to the central or northern areas of the country. If you're thinking of heading to the Algarve on the southern coast of Portugal then the beach season is a lot longer, with sunbathing weather starting as early as March (although you can't be 100% sure about the weather then, whereas you can in the summer months). Speaking from experience, you can even get some summery days in March and April at some of the beaches bordering Lisbon, but you should definitely have some alternative activities planned just in case it's feeling a bit chilly when you're there. It's also worth noting that the water temperature is at its highest in the autumn after the summer sun has had months to warm it, so if you base your beach breaks around swimming rather than sunbathing, consider travelling in September or October. Portugal is widely considered one of the best places to go surfing in Europe thanks to its consistent swell all year round. Although this means you'll be able to don a wetsuit and hit the high seas in any season, the height of the waves does vary throughout the year, so you should choose when to go based on your skill level. The swell is at its biggest in the winter months from November to February, with record-breaking waves as high as 80 feet breaking in Nazare during this time. Waves also remain relatively big in March and April before becoming gentler from May to October. It's also worth noting that this May to October period also sees much warmer water temperatures, so if you're in the market for a chilled surf holiday rather than to catch some waves, these months are your best bet. With surfing opportunities all along Portugal's coastline, it's easy to find spots that suit all abilities, as well as numerous surf schools and places to hire kit all year round. You could even embark on a road trip from Porto to Lisbon, stopping at the best beaches all along the way. If we had to choose, we'd say a summery surf on the Algarve or catching some waves in the early-autumn close to Lisbon is best for surfing newbies, with winter surfing in Nazare, Peniche, and Ericeira perfect for the pros. One of the best things about Portugal is that it's the perfect destination for a city break all year round. With winter temperatures only falling to around 10°C in Lisbon and Porto and 12°C in Faro, Portugal's cities are comfortable to walk around even in the colder months, making them ideal destinations to escape the colder climates of other European countries. This warmer climate does, however, mean that Portugal experiences pretty hot summers, so it's probably best to avoid a Portuguese city break in July and August. These are also the busiest months, so by avoiding this time you'll also be able to beat the crowds. In short, any time from September to June is the best time for a city break in Portugal. As far as western European countries go, Portugal is relatively easy on the bank balance, so can be a really good destination to choose if you're looking to travel on a budget. But like most places, it's best to skip visiting Portugal in July or August during the school holidays as hotel and flight prices are ramped up to make the most of the crowds of tourists flocking to the country to soak up the sun. If you're after sunbathing weather without the hefty price tag, opt to travel in May or September, when temps will still be high but you won't have to contend with the expense of the high season. If you're not fussed about visiting in swimsuit-worthy weather, then January/February time will be even more economical. Temperatures will still be mild, albeit a little unpredictable, but if you're willing to brave a couple of rain showers you'll definitely be able to save some money. Planning to do a Portugal driving holiday? Don't worry - there are plenty of ways to save money on a road trip so you don't end up breaking the bank in Portugal. Although inland areas of Portugal do see freezing temperatures and snow, Portugal's long Atlantic coastline is the ideal place for some winter sun, making travel in January perfect. As we've already highlighted, travelling in January is a great opportunity to beat the crowds and bag some killer flight and hotel deals, as well as the perfect time for more seasoned surfers to catch some epic waves. Winter is also the ideal time to sample some of the warming local dishes that aren't usually offered in the warmer months. Hearty caldo verde (green soup) and cozido (a meat and potato stew) are two particular delicacies to look out for. If you're not feeling brave enough to hit the beach yet (it'll probably be slightly too chilly this early in the year), February is a great time to take a road trip through the Algarve and follow the annual bike race, the Volta ao Algarve. Portugal's answer to the Tour de France, this race welcomes both professional and amateur riders to tackle the route which passes through the beautiful hills of the Algarve; just goes to show this region has more to offer than just beaches! If you don't fancy signing up, drive between the checkpoints to take in the views and cheer on the cyclists. The race happens in mid-February each year. If you don't find yourself in the Algarve at the right time for the race (it only lasts for four days) then go for a scenic drive anyway - the roads should be pretty clear before the warmer season hits, and you'll be surprised how beautiful this area is away from the popular coastline. March in Portugal kicks off with the annual Carnival, a country-wide party filled with music, dancing, food, and colourful costumes. The festival begins on Shrove Tuesday (which sometimes falls at the end of February) and can last up to three weeks, lighting up the cities with non-stop parties and festivities. For the most lively celebration, definitely head to vibrant Lisbon. As well as the Carnival, March marks the start of the warmer weather in Portugal, which is perfect for seeing the city sights, visiting rural areas like the Douro Valley, and dipping your toes in the sea. But be warned - areas further north including Porto can experience some rain before spring officially sets in, so make sure you pack an umbrella! Seeing as it's a Catholic country, the main event in Portugal's calendar in April is Easter, with a whole host of celebrations happening throughout Holy Week across the country. One of the most iconic celebrations takes places in Braga in northern Portugal, where a series of dramatic nighttime processions evoking Biblical scenes passes through the streets throughout the week. Visiting at Easter time will also give you the opportunity to sample some traditional foods that only crop up at this time of year, including roast lamb and folar - a type of bread traditionally baked with a whole boiled egg (in its shell) to symbolise the Resurrection. Flavours added to the bread depend on the region, so you should be able to taste a unique take on the classic wherever you're travelling to. 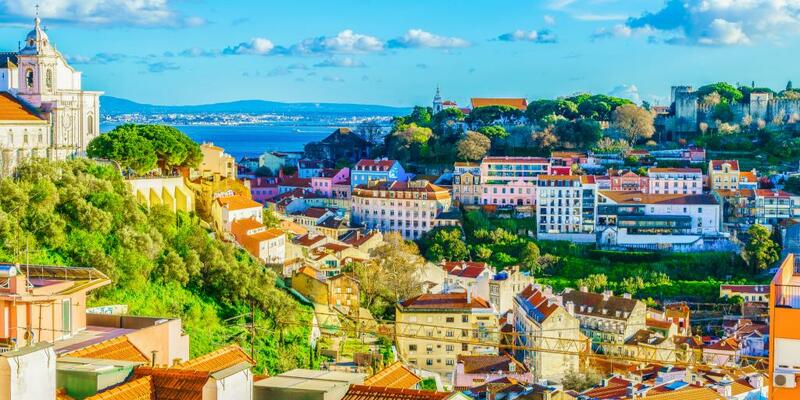 By May the weather begins to peak, with spring showers coming to an end and temperatures creeping up to that perfect shorts-and-T-shirt level, making it generally just a really nice month to visit Portugal for a chilled city break or beach holiday. You should be able to rely on the weather pretty consistently throughout the country, with highs of around 20°C to 22°C wherever you travel to. 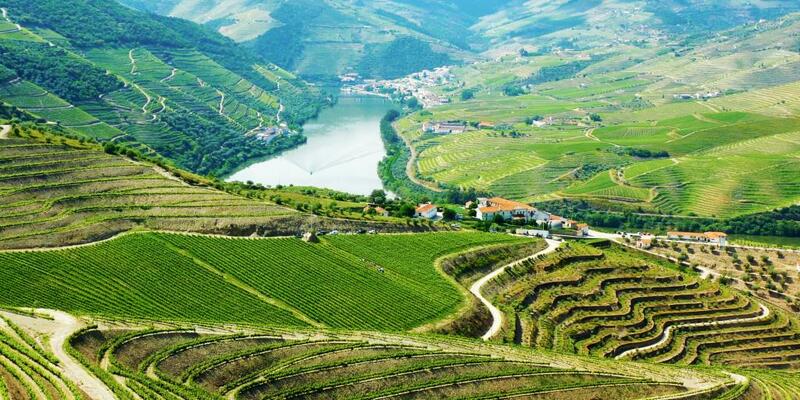 If we had to pick a perfect May activity it would be a visit to the Douro Valley. 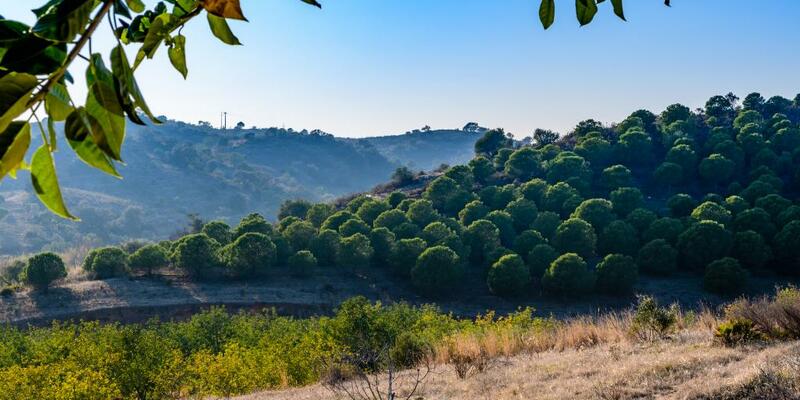 This UNESCO-listed area in northern Portugal is made up of beautiful scenery, serene river cruises, gentle hiking trails, and of course wine tasting. Before the bulk of the tourists descend and temperatures get too hot in the summer, May is the ideal time to enjoy everything this stunning area has to offer. May and June are also great months to go whale and dolphin watching in Portugal's lesser-known archipelago the Azores; you'll be more likely to see a wider range of species in these months, so definitely a great holiday option if you're after a nature-filled break. As well as being an ideal month to visit Portugal weather-wise, June is also the month of one of the country's biggest celebrations: the Santo António Festival in Lisbon. Throughout the month, locals pay homage to Saint Antonio with music, dance and colourful decorations filling the city's historic neighbourhoods, with fresh local sardines and cold drinks served up to revellers. The 12th and 13th of June are the high points of the festival, with parades and processions moving through the streets to honour the occasion. However the whole month (often continuing throughout the summer) is alive with events and parties, so visiting Portugal any time across these four weeks is ideal. 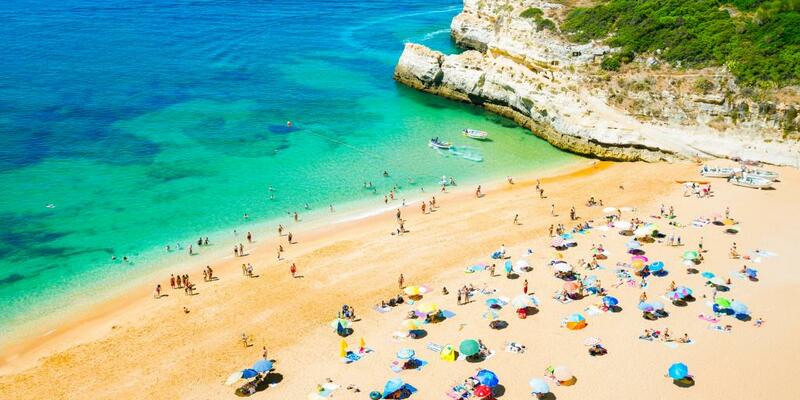 July marks the start of the popular summer period and has pretty much guaranteed non-stop sunshine, particularly on the Algarve and in Lisbon. Temperatures soar and rainfall almost stops all together, making it perfect beach weather. The hot weather also brings music festival season with it, with world-renowned NOS Alive in Lisbon, MEO Mares Vivas in Porto, and Festival Internacional de Jazz de Loulé in the Algarve all taking place in this month. As the Portuguese holiday month, the summer is in full swing by August, with coastal resorts buzzing with tourists and locals alike flocking to the shores to make the most of the non-stop sunshine and hot weather. Bear in mind that August is pretty much all about the beaches, as the weather is often too hot for exploring the cities or doing any kind of outdoor sports like hiking or cycling. So if you're after more than just relaxing on the sand, maybe give this month a miss. The summer weather in Portugal continues into September, with temperatures beginning to drop slightly but staying warm enough for sunbathing and swimming. If you can hold off on your beach break until September, you'll be rewarded with emptier beaches, cheaper flights and accommodation, and slightly cooler temperatures so you can easily sight-see between sunbathing sessions. It's also an ideal time to do a road trip in Portugal - just make sure you know the rules of the road before you go! This is probably one of the most relaxed months you can visit if you're after hot weather. Temperatures remain comfortable in October, with a little more humidity and more frequent rain showers signalling that beach season is coming to an end. October is, however, a great month to explore the cities and rural areas of the country, with temperatures warm enough to spend a lot of time outdoors - just remember to pack a raincoat! Although participating in a marathon isn't most people's idea of a relaxing holiday, cheering on the runners of the Lisbon Marathon, which goes from Cascais to Parque das Nacoes in October, is a nice addition to an October Lisbon city break. Aside from the marathon, this is another pretty laid-back month as far as events go in Portugal, so travel now if you're in the market for uninterrupted sightseeing. Portugal's winter weather arrives in November, but temperatures rarely go below around 10°C, so it's still more than pleasant to have a wander round the cities going between the sights. It is, however, one of Portugal's wettest months, so be prepared to get caught in some rain showers as you explore. If you don't want to risk an outdoor itinerary in November, then planning your trip around the Lisbon and Sintra Film Festival is a great way to enjoy Portugal when the weather begins to turn. Set across Lisbon and the resort town of Sintra, this annual film festival spans a week in mid-November and includes film screenings, master classes, exhibitions, and conferences, all centred around really interesting movies and directors. Just make sure the films you head to are in English or have English subtitles if your Portuguese isn't up to scratch! Although the Christmas market tradition may not be as prevalent here as in eastern Europe, Portugal does its fair share to celebrate the holiday spirit with the cities adorned with twinkling lights and traditional nativity scenes cropping up for passers by to admire. 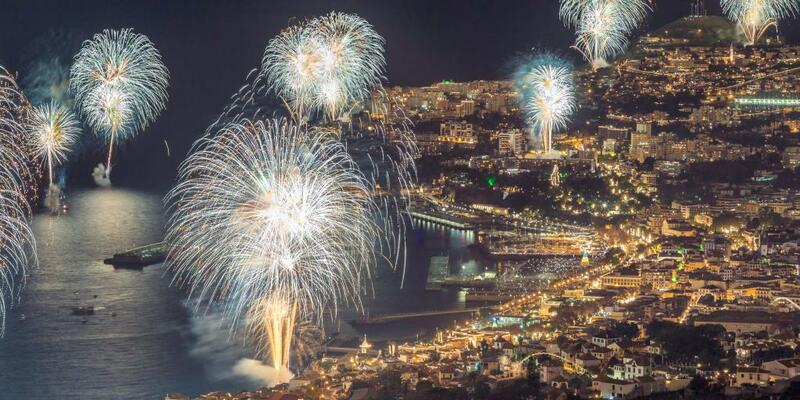 One stand-out place to visit during the festive season in Portugal is definitely Madeira. This Portuguese archipelago off the northwest coast of Africa is beautifully decorated and embraces the best of the country's Christmas traditions, from the authentic treats down to the religious services. Make sure you head to the Farmers' Market on Market Night on December 23rd for last minute Christmas supplies and carols, and be sure to stick around for the incredible New Years Eve fireworks display. One of the largest displays in the world, this is the perfect place to ring in the New Year and embrace the amazing atmosphere and sense of community that Portugal has to offer, no matter when you choose to visit.